This farm has multiple crops and in order to keep it as natural, organic and simple as possible, the farmers focus on the crops and let the surroundings be as natural as possible. I liked the out of focus framing of the dried grasses on top of the green vegetation and the fields, just prepared for a new crop. On this warm, sunny day, it was a treat to be seeing the efforts of local producers. 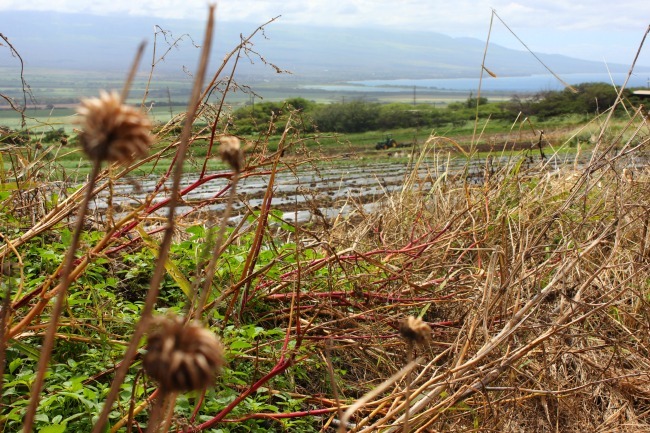 This island is more than just beautiful beaches and resorts – its also a community of farmers, who are embracing the local and sustainable movement with a focus on culture, encouraging locals to start eating more canoe crops – taro, gourd, sugar cane – which connects them back to their Polynesian roots. And here’s one of the owners – Bobby Pahia – showing the different kinds of taro. 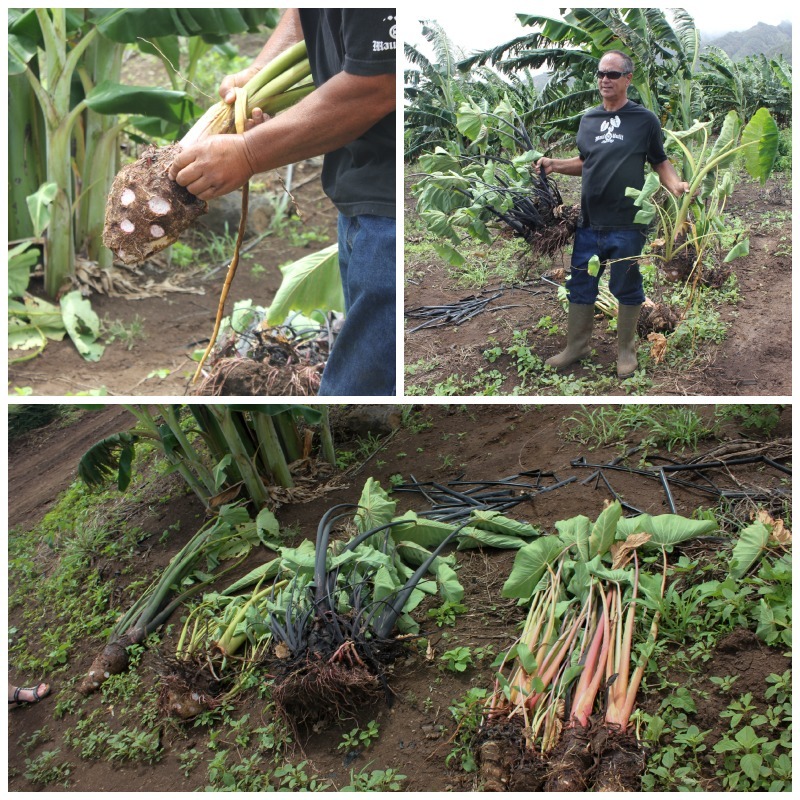 And this farmer makes a difference in more than just growing a wide range of produce – he’ll give any local a free taro plant to grow themselves, to encourage them to bring a part of their history into their home.